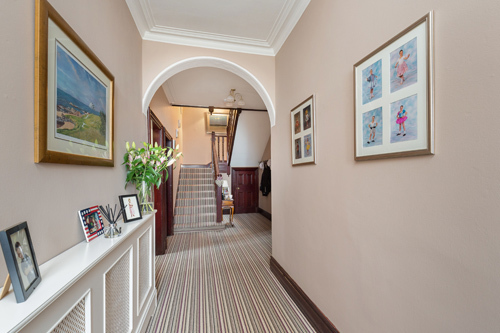 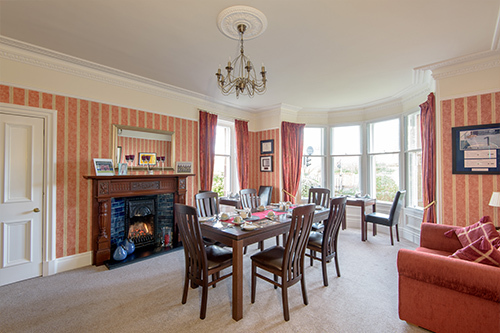 The house has 3 floors with the guest bedrooms all situated on the middle floor. 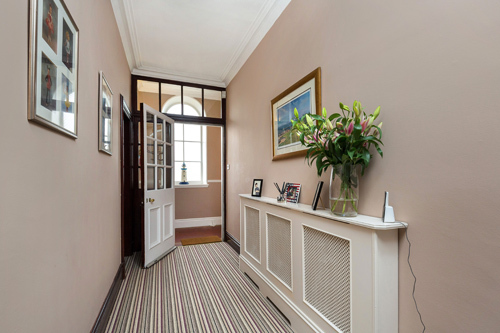 This adds to the "home from home" feel. 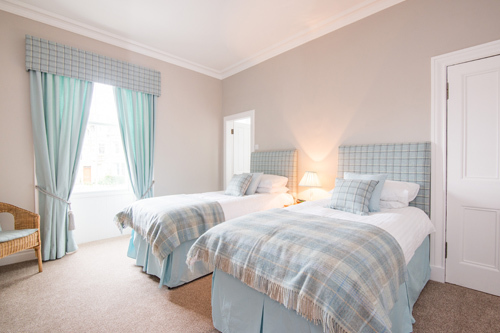 All rooms are en-suite with thermostatically controlled power showers in each bathroom. 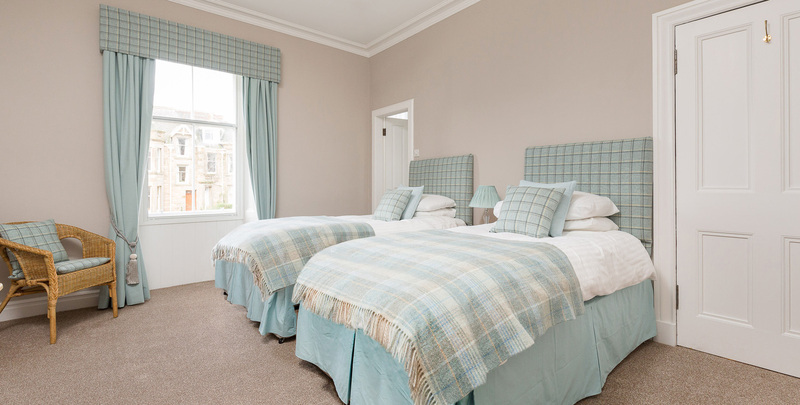 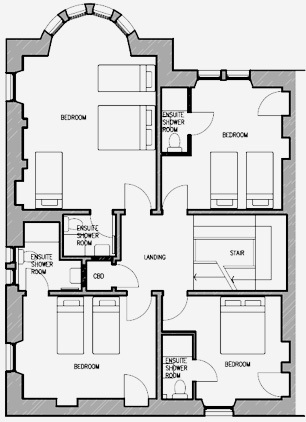 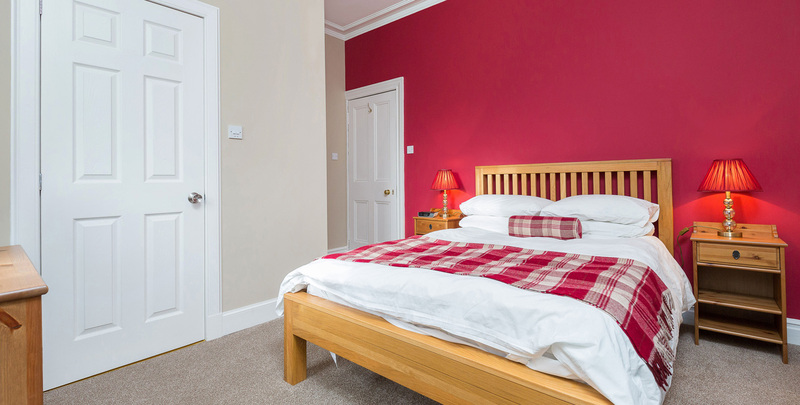 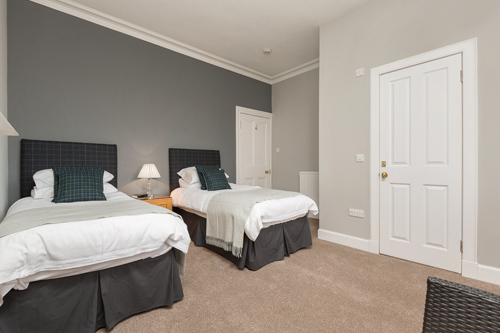 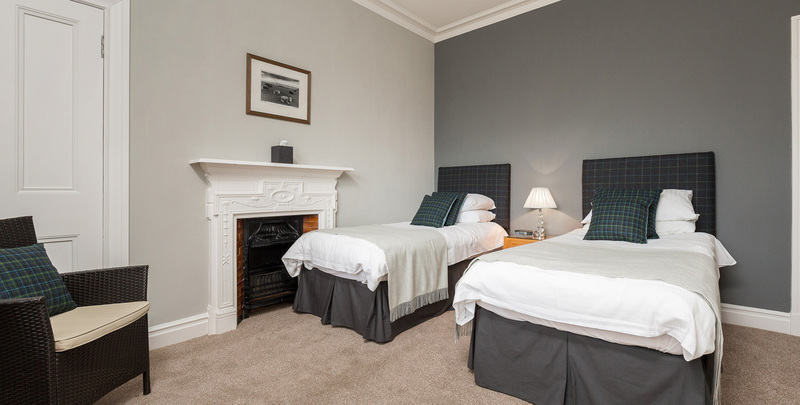 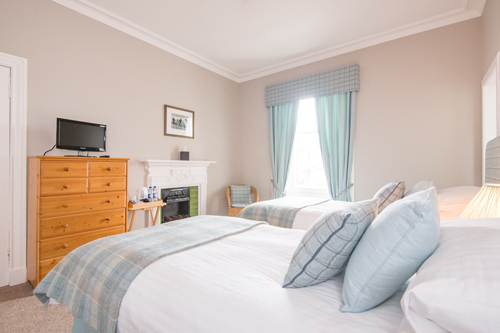 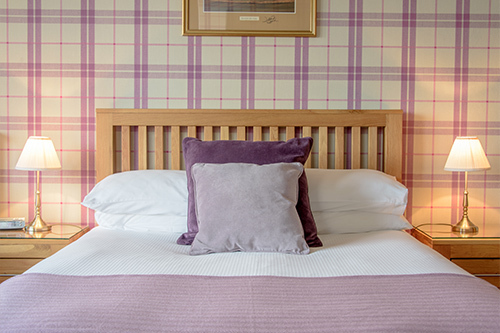 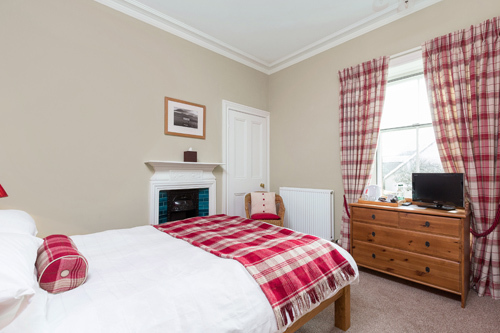 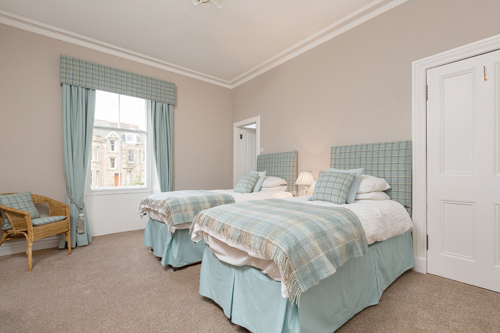 Of the 4 guest bedrooms, 2 are twin bedded ( 2 single beds in each ) – 1 of these rooms has zip and link beds which can be made up as a double if required. 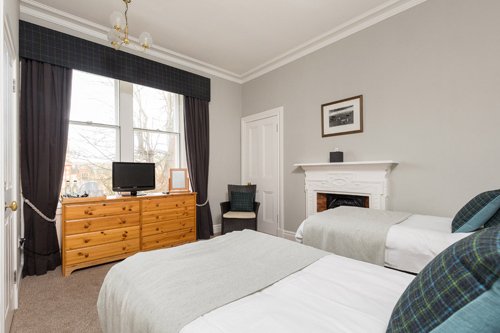 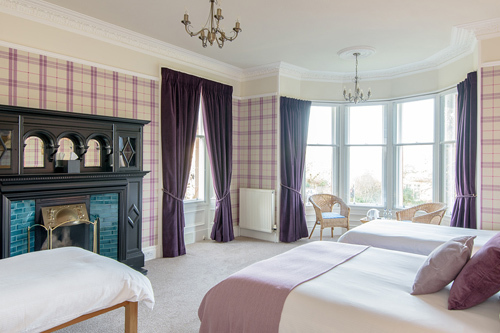 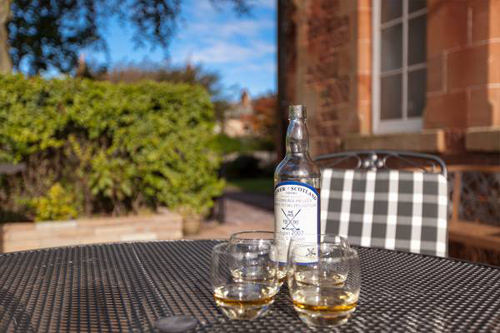 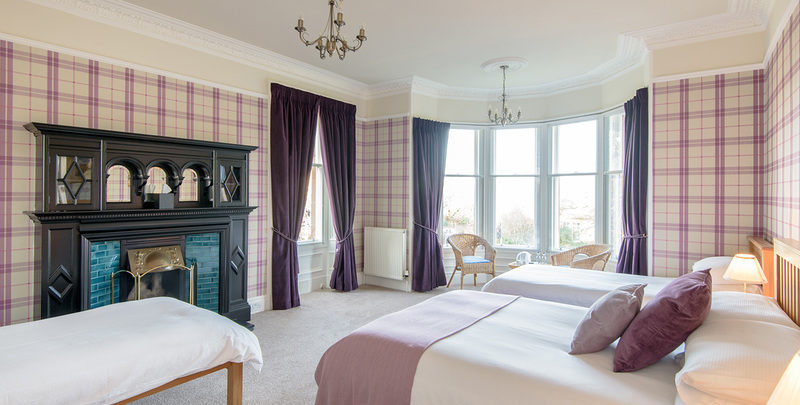 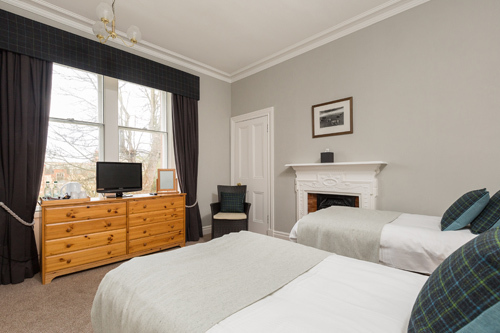 There is 1 double room ( queen size bed ) and the 4th room is our more spacious bay windowed superior room with 1 double bed, 2 single beds and a seating area.